Premier Injuries is fast becoming the go to resource for injury related data pertaining to the English Premier League. Our database contains detailed analysis of every reported player injury since we were established back in 2010. The Premier Injuries table provides 'potential' player return dates plus the latest official club news. Members of the site can also track individuals and/or teams for instant notification updates. We provide services to a diverse range of clients which include, but are not restricted to: Insurance Underwriters, Fantasy Gaming and Gambling Platforms, Medical Research and Sports Media outlets. Content options are available across a range of subject areas. From weekly Premier League fixture previews to team news articles which include predicted line-ups. Please submit enquiries via our 'Contact' form. 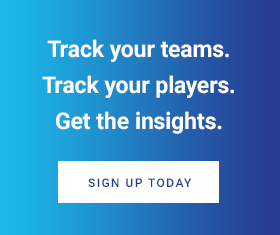 Creating a free account allows you to track your favorite players, or whole teams, and get instant notifications when their injury status changes.